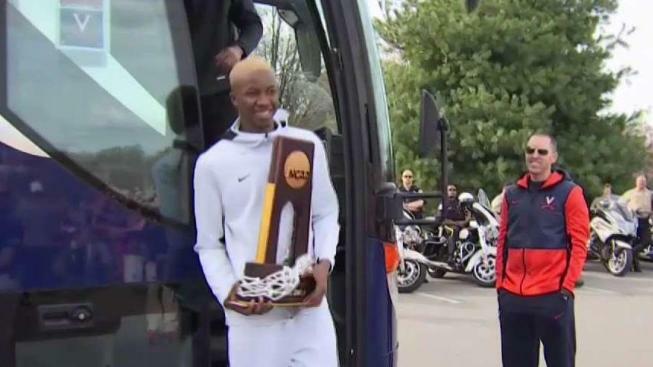 The University of Virginia men's basketball team returned home to a crowd of screaming fans Tuesday afternoon after winning the 2018-19 NCAA championship against Texas Tech Monday night. The team arrived at John Paul Jones Arena shortly after 5:15 p.m. with fans gathered on either side of the path from the bus to the arena. The Cavalier Team Shop in open in the arena until 7 p.m. for fans to purchase national championship merchandise. On Saturday, Virginia Athletics will host a celebration of the Cavaliers at Scott Stadium at 2 p.m. Admission to the event and parking will be free. 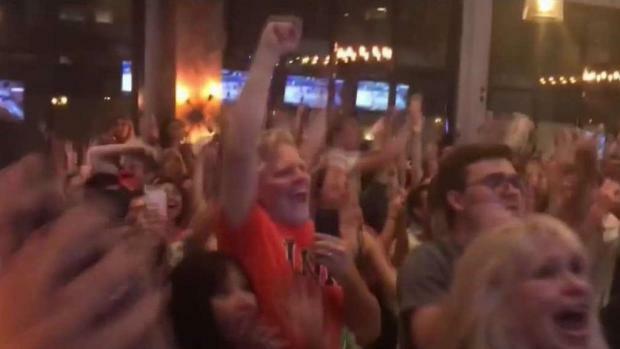 Watch how fans in Northern Virginia celebrated when they saw the University of Virginia's basketball team win their semifinal match. If you're thinking about going, keep in mind that the stadium's clear bag policy and entry procedures used for all home basketball and football games will be in place for Saturday's event, said Virginia Athletics. Concession stands on the west side of the stadium will be open on Saturday for fans to purchase merchandise, including NCAA championship and Final Four apparel. The champions finished the season with a school record 35 wins, according to Virginia Athletics.